So the day after the night before – the night before being a Our Man Bashir inspired party, everyone was dressed in their trekkie finest and enjoying the music of both James Darren and Tim Russ who put on stellar shows. It again was a messy night continuing into the wee hours, thank you to Larry Nemecek who put up with our company for far too much of the evening. 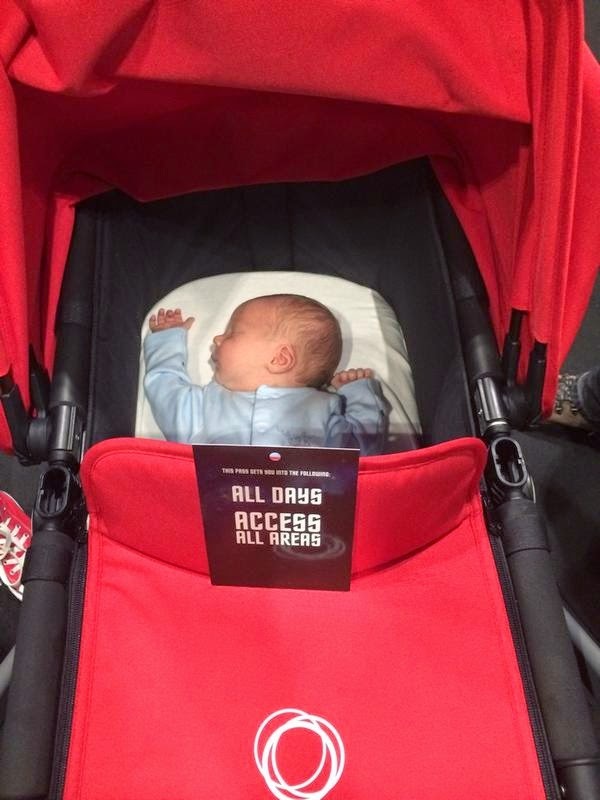 First the cutest, this is trekkie girl Sammy’ s little baby bundle he so cute. 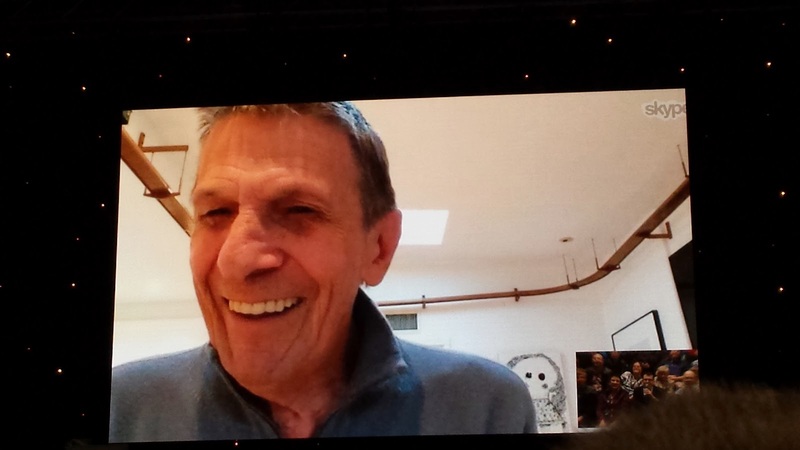 LEONARD NIMOY oh my god, he appeared via Skype to a select audience opening with a song that he performed with his grandchild Jonah. The crowd was captivated, he spoke fondly of Zachary Quinto who he said didn’t need any instructions that he was just able to become Spock but how they both had discuss the dilemma that existed within Spock between his vulcan and human halves. He spoke of his excitement of Bob Orci taking the helm for the third of the reboot films saying ” I haven’t seen a script and nothing is confirmed but I would very happy to be in the next one” hinting that a conversation would be happening soon. I must give a big shout out to @TheOriginalTiT Sarah (now a fellow trekkie girl) who was brave enough to ask a question – Asking what it was like to work on Fringe? Leonard replied commenting on a great time he had on set especially with John Noble who he called Little John. All in all this was an amazing talk one that I feel privileged to have been witness to. All I can say is Leonard live long and prosper. From the moment that he appears on stage he has everyone under his spell. Obviously there was a lot of interest in the rumours that he will be appearing in the third reboot film but sadly he was still being very tight lipped about it. He spoke in a very complicated manner about his belief in UFO’s, but not of the ET type but ones of a more spiritual nature, or at least that what I think he was saying. But it is when the conversation turns to his horses that he speaks most passionately, explaining to the crowd that they are his secret to staying young and to having such presence. But one thing for sure is that they are his passion. The appeal of William Shatner at talks like these hasn’t diminished and whatever his secret is he certainly still has it . I have a lot of thank you’s so if I missed your name I am sorry. Join us on twitter and hopefully see you all at the next Destination Star Trek.